Looking for a healthy holiday cookie to bring to a party or cookie exchange? 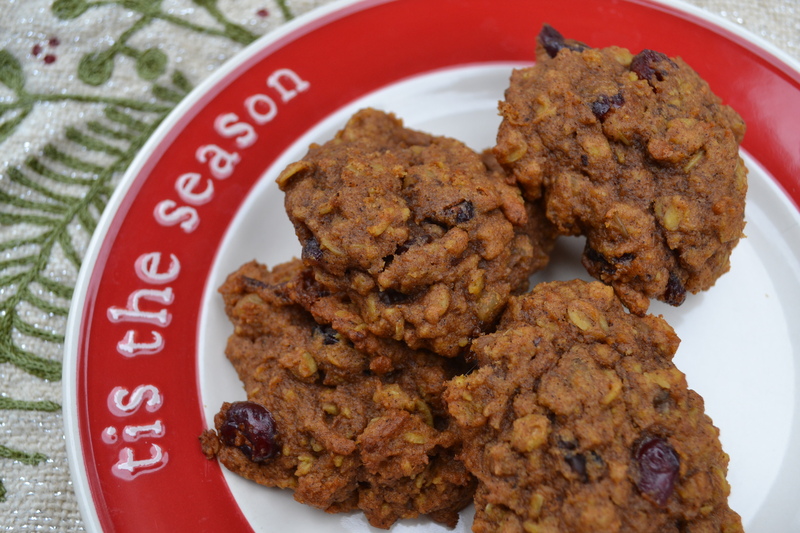 Our Pumpkin Oat Cookies with Cranberries and Walnuts are festive and healthy! I’ll admit it: I’m not much of a baker. Some say baking is like chemistry experiment, and the amount of each ingredient is very important. Well..this C+ chemistry 101 student gets very frustrated with how precise and accurate everything has to be. So, when Meaghan and I divided up our pumpkin spice series blogs, I knew that this one would be a challenge for me. 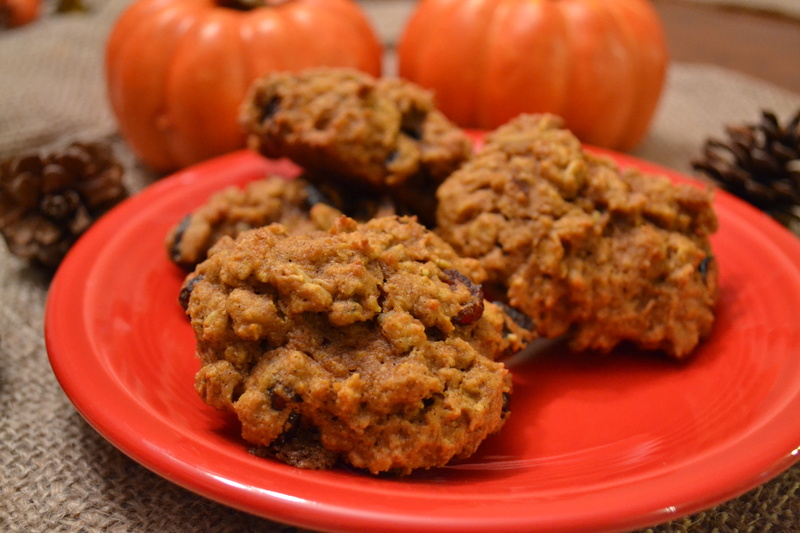 You wouldn’t be too far off by calling these superfood cookies. Not only are they low fat because we use pumpkin instead of loads of butter, but they also contain many healthy antioxidants in the cranberries and walnuts. Walnuts contain healthy fats that will keep you full, and provide protein too. Lastly, we use whole wheat flour and oats for healthy fiber to keep you full. Told ya – it’s a superfood cookie! I hope you enjoy this perfected fall festive cookie! The cranberry and walnut flavors together also make it great for the holidays. #HBTip: Use 1 cup fresh cranberries instead of 1/2 cup dried when they are in season this winter. 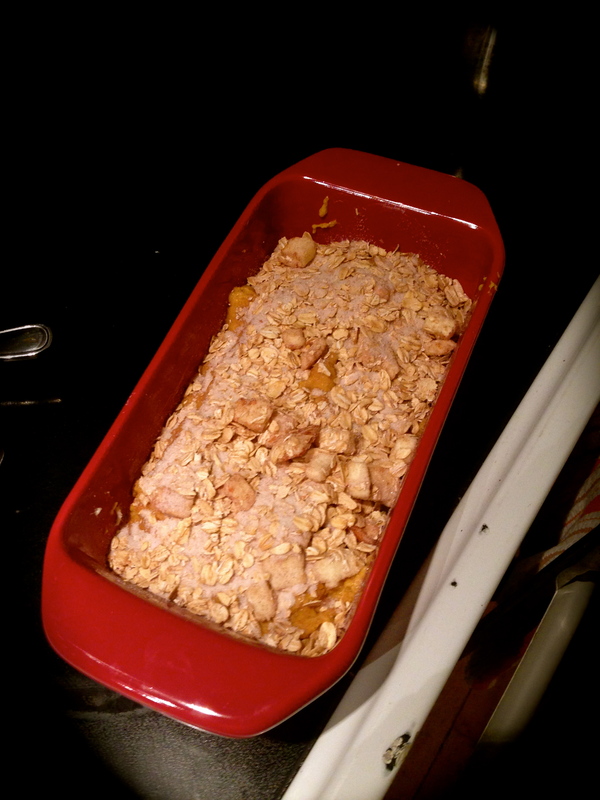 In a medium sized bowl, combine the flour, oats, baking powder, baking soda, salt, pumpkin pie spice and cinnamon. Set aside. In a separate larger bowl, add the melted butter, olive oil, brown sugar and white sugar. Mix well. 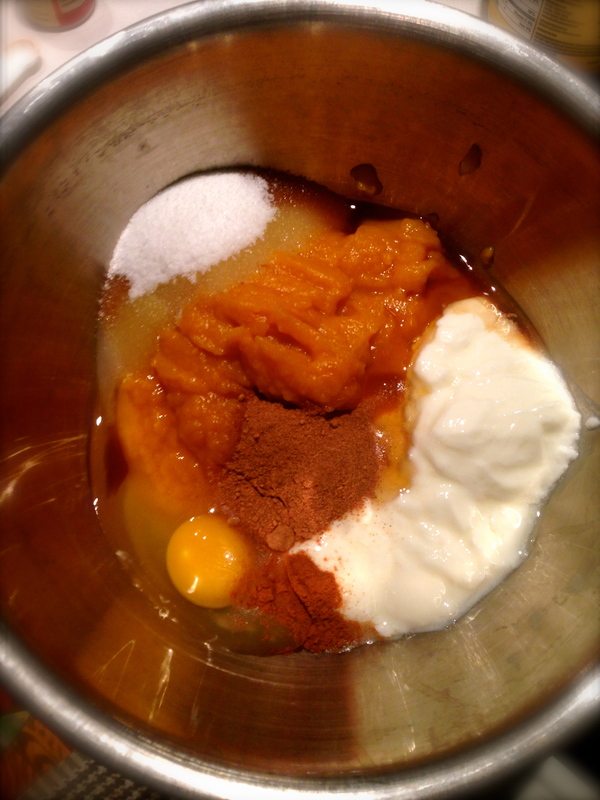 Add the pumpkin, egg and vanilla to the sugar mix in the large bowl. 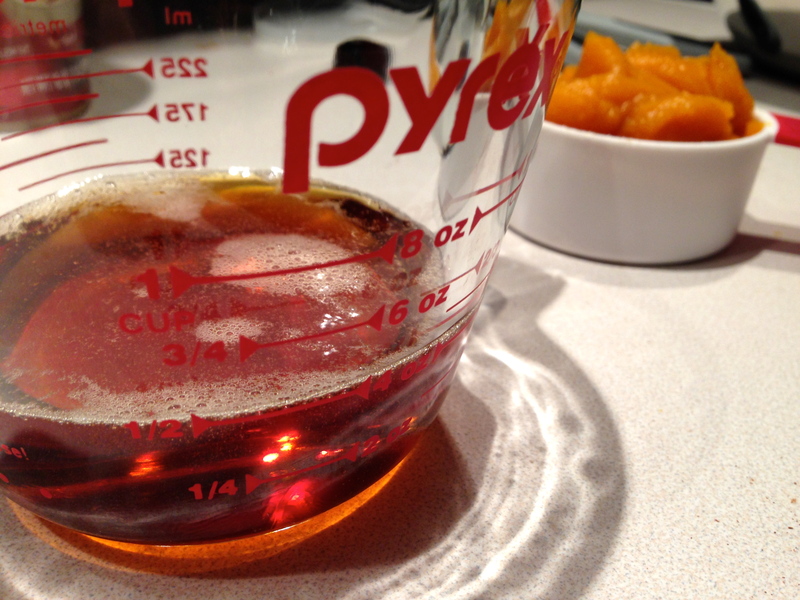 Mix well until ingredients are evenly distributed. 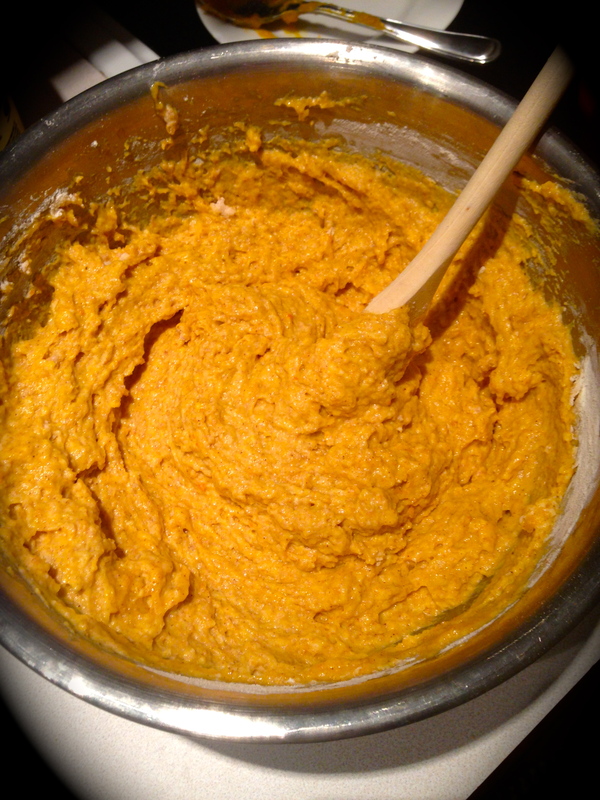 Add the flour mixture into the pumpkin mixture in the large bowl. Mix with a wooden spoon until ingredients are combined and evenly distributed. 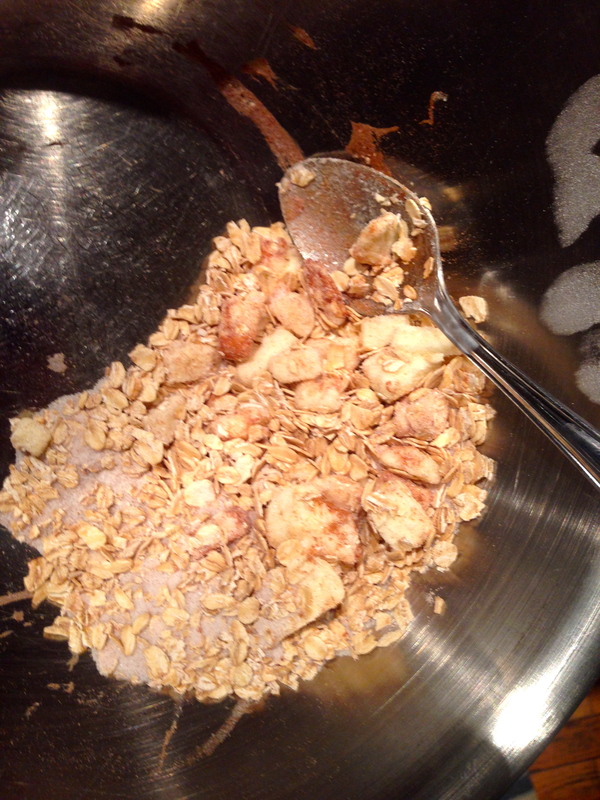 Fold the cranberries and walnuts into the mixture (do not over mix). Place a sheet of parchment paper onto a cookie sheet. Combine about 2 tablespoons of dough with your hands, and form them into balls. Place about 8 cookies on each sheet and bake for about 12 minutes until cookies are lightly browned on top. Remove cookies off of the cookie sheet and onto a cooling rack. Repeat until all of the dough has been baked (about 20-24 cookies). #HBTip: Re-use the parchment paper for the second or third batch of cookies and save $ and recycle! Nutrition Facts for 1 cookie: 113 calories, 1.4g saturated fat, 117mg sodium, 15g total carbohydrate, 1.2g fiber, 2.1g protein. Fun fact: I learned during my trial and error that this recipe makes really great muffins. (Yes I was trying to make cookies, and I made muffin cookies) Simply use alter the following ingredients from above: 2 tablespoons of butter, 6oz plain low fat yogurt instead of oil, use 1 whole can of pumpkin, 1 cup of whole wheat flour and 1 cup of white flour. Thanks to my friends who helped me out in eating my first batch of “muffin cookies.” It’s all in the experience! What other kinds of cookies are you looking to try this holiday season? 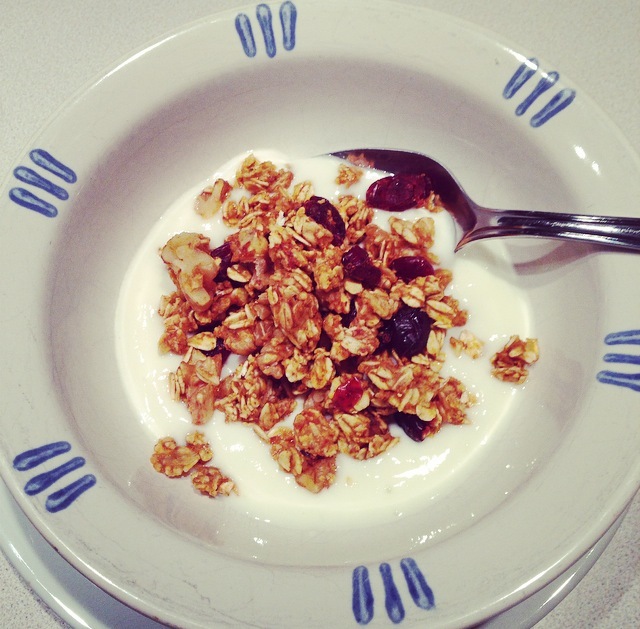 8 ingredient granola, people! It doesn’t get much better than this! 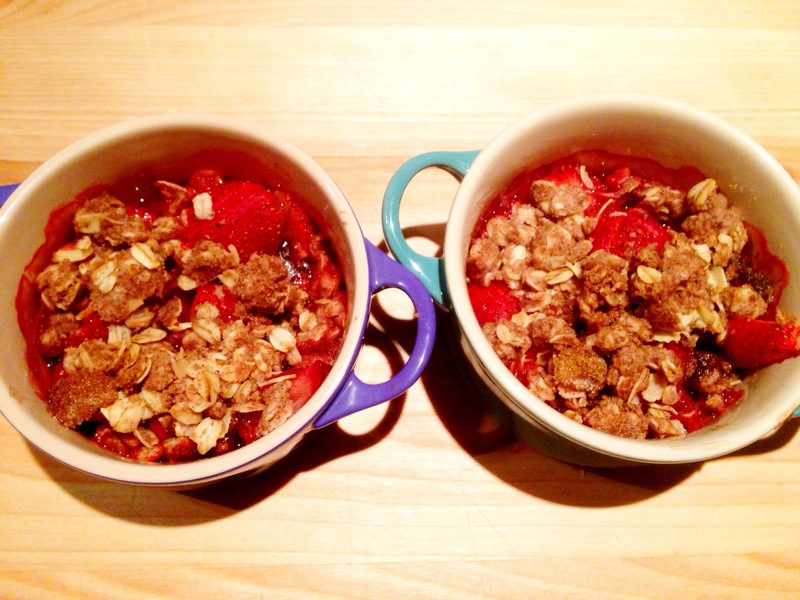 Deliciously festive and healthy making both the perfect breakfast and/or holiday gift. 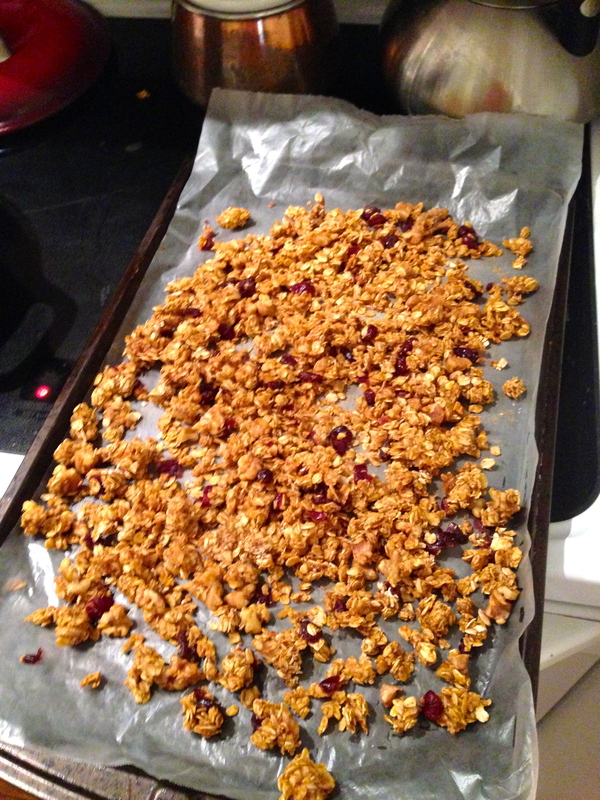 I’ve added dried cranberries and walnuts however, feel free to substitute with something of similar of your choice! Get your pumpkin on and enjoy! 1.Heat the oven to 325 degrees and line a sheet pan with wax paper. 2. 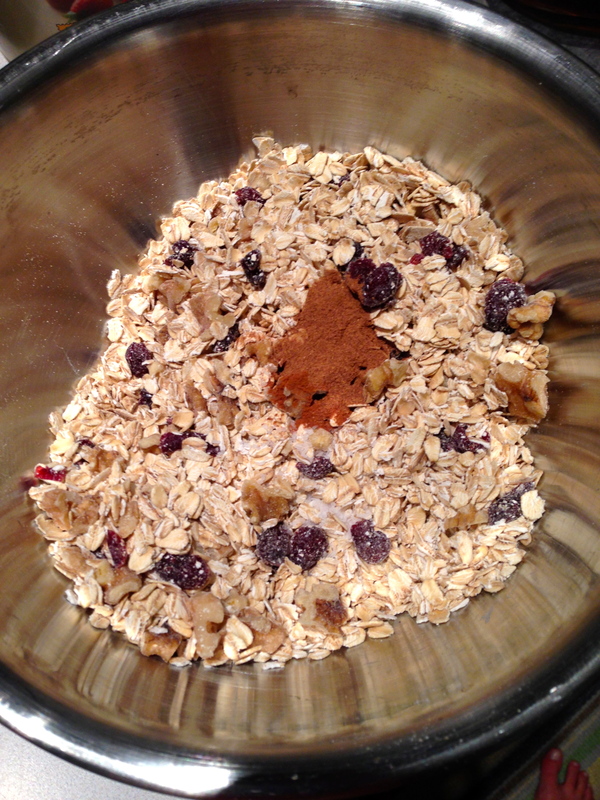 Combine the oats, walnuts, cranberries, pumpkin pie spice, cinnamon, and salt in a medium sized bowl. 3. 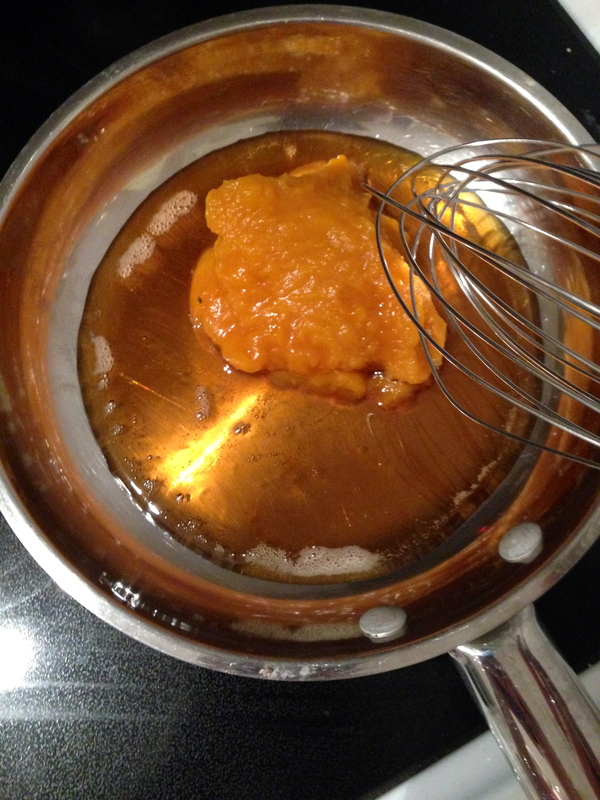 Heat the pumpkin puree and maple syrup in a small saucepan, whisk until combined and heated through lightly, 1-2 minutes. 4. 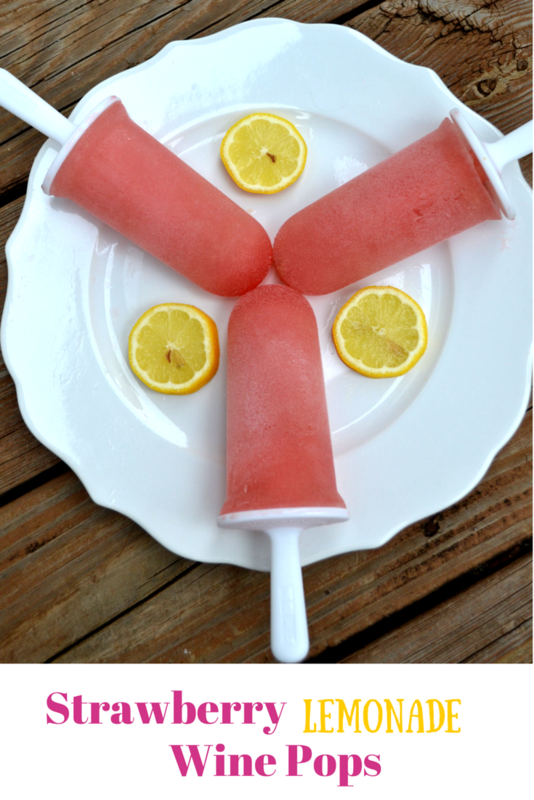 Pour wet ingredients over dry and mix with a wooden spoon. Spread evenly over wax paper lined sheet pan. 5. Bake in the oven for 15 minutes, remove pan and stir mixture with wooden spoon. Put back in the oven for another 10 minutes, mix again and let cool completely. Store in an air tight container for up to 1 week! Combined wet and dry ingredients. Tis’ the season for pumpkin spice everything people!! 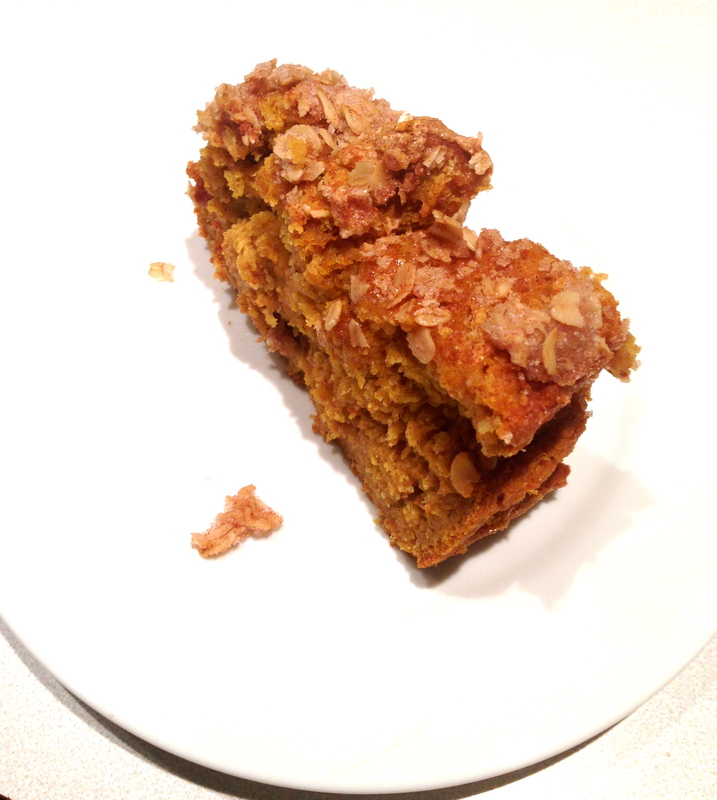 I am truly ecstatic about it being socially acceptable to post pumpkin spice recipes on the regular… although I have been known to indulge mid July on occasion. Besides all that, this bread is made with half whole wheat flour and half all purpose flour to add a little fiber and protein into your fabulous diet! 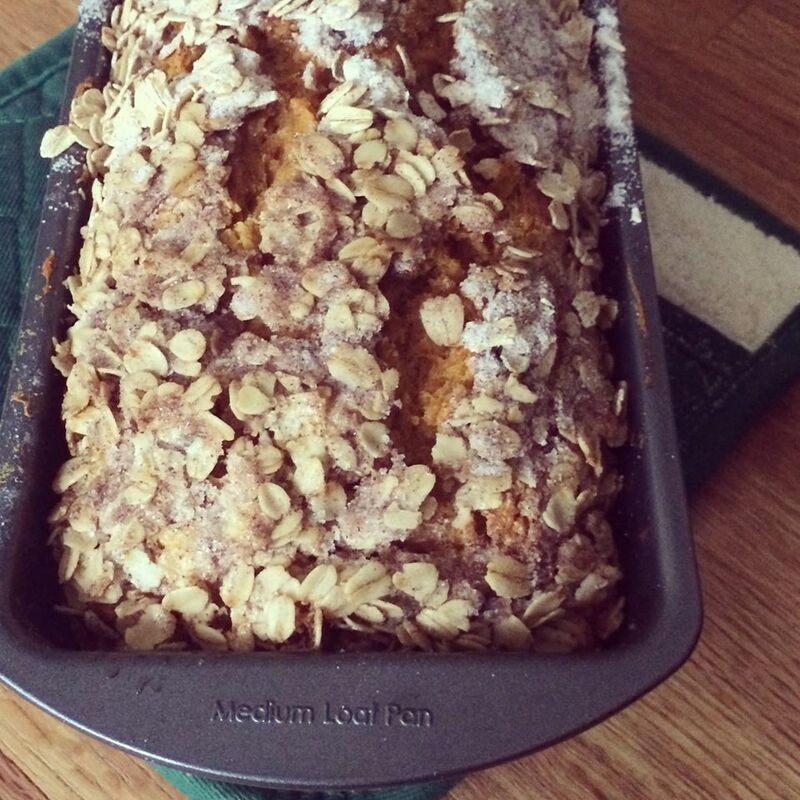 The simplest small adjustments can really do wonders for a baked bread. This one is chock full of healthy ingredients making it a very acceptable addition to your breakfast or mid afternoon snack perhaps! Enjoy! 2. In a medium size bowl, combine the pumpkin, yogurt, honey, sugar, vanilla, egg, pumpkin spice, and cinnamon. Mix thoroughly by hand with a wooden spoon. Set bowl to the side. 3. 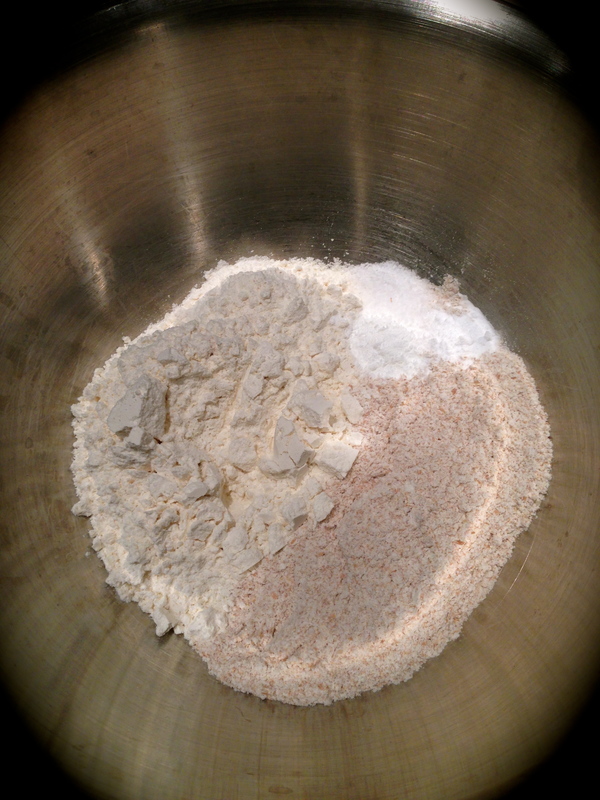 In another medium bowl, combine the all purpose flour, whole wheat flour, baking soda, baking powder, and salt. 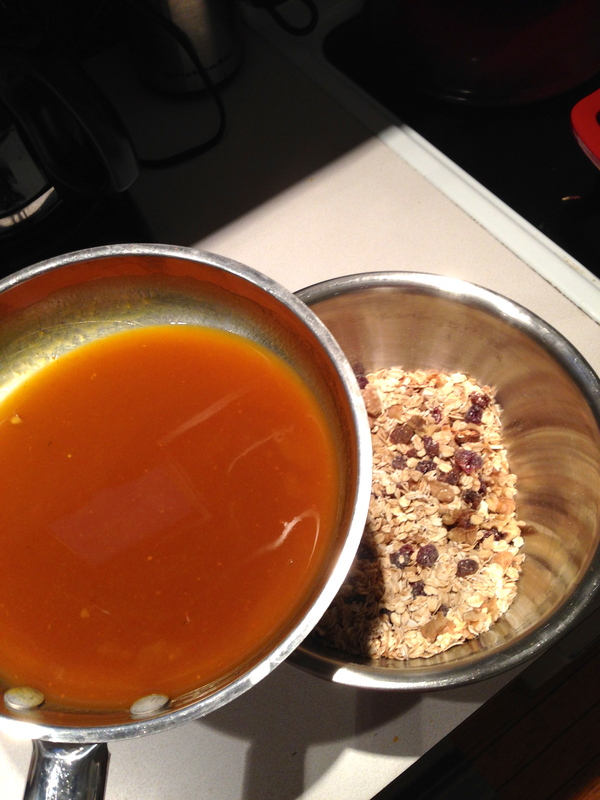 Fold slowly into bowl with the wet ingredients, combine thoroughly but do not over mix. Pour into a greased bread loaf pan. 4. 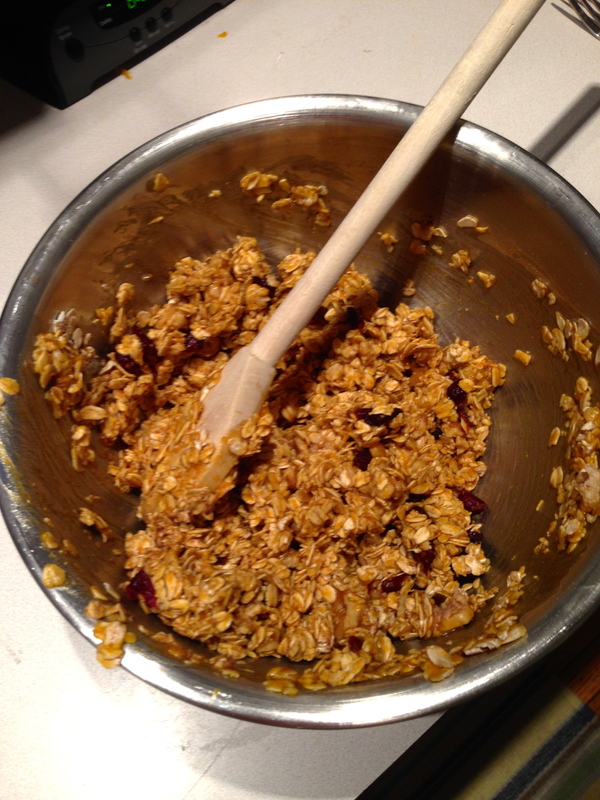 To prepare the streusel, mix all ingredients together in a small bowl and sprinkle evenly over dough. Bake in the oven for 1 hour until a fork comes out clean from the center.